Fridays are awesome for so many reasons, but the best is Handmade Friday!! In case you're just catching up, every Friday, we introduce you to a new, amazing handmade business owner. This week, we'd like you to meet one of the sweetest mamas around - Angela of Learn Live Hope Apparel. Learn Live Hope Apparel is a positive lifestyle brand, aimed at bringing unique designs to women and children (3/6M-8 youth). The shop is named after my life motto, “Learn from yesterday. Live for today. Hope for tomorrow.” All the designs are inspired by my son, and my day to day life as a mother. My ideas usually come to me in every day moments. The feather on the fearfully and wonderfully made shirt, I drew while coloring with my son. That drawing sat on my kitchen table for weeks. I would walk past it several times a day thinking of how I wanted to incorporate it into a shirt, until one day it just hit me. The Summer designs, came after I wrote it in chalk when we were playing outside one day. I liked how it looked and decided to replicate and expand on it. I definitely find inspiration all around in my day to day. When choosing shirts softness, comfort, and fit are very important to me. 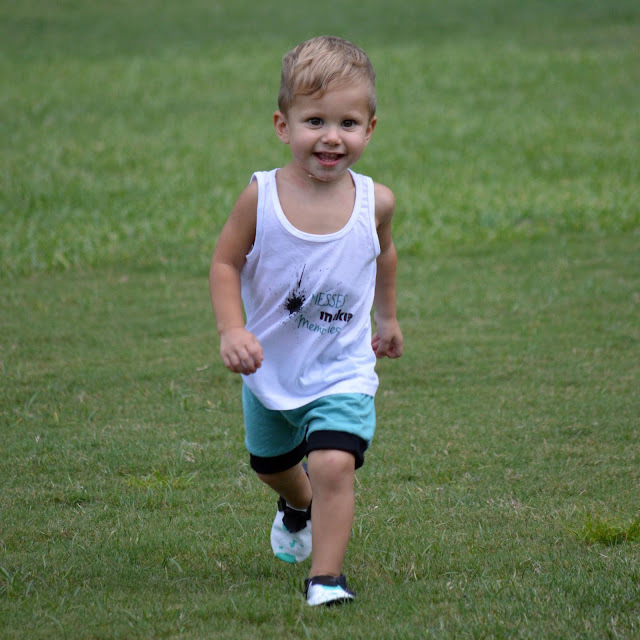 All shirts are made using direct to garment printing, with eco-friendly water- based inks. I absolutely love this method because the quality of the images and colors, as well as its ability to last. 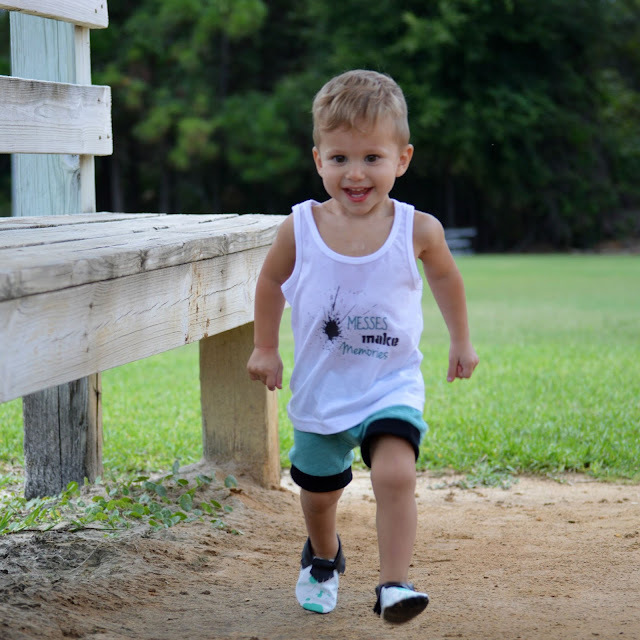 Kids live and play, shirts get messy, and there’s lots of laundry. I for one want something I can wash and dry without worrying about special care, or that the item will get ruined. So that is what I always strive to provide my customers. I love what I do, and providing clothing that comes from the heart. We just love the way Angela's adorable designs are all so positive and fun! Oh, and in case you haven't heard - we've teamed up with Learn Live Hope Apparel for this ridiculously cute Messes Make Memories Splatter Set!! 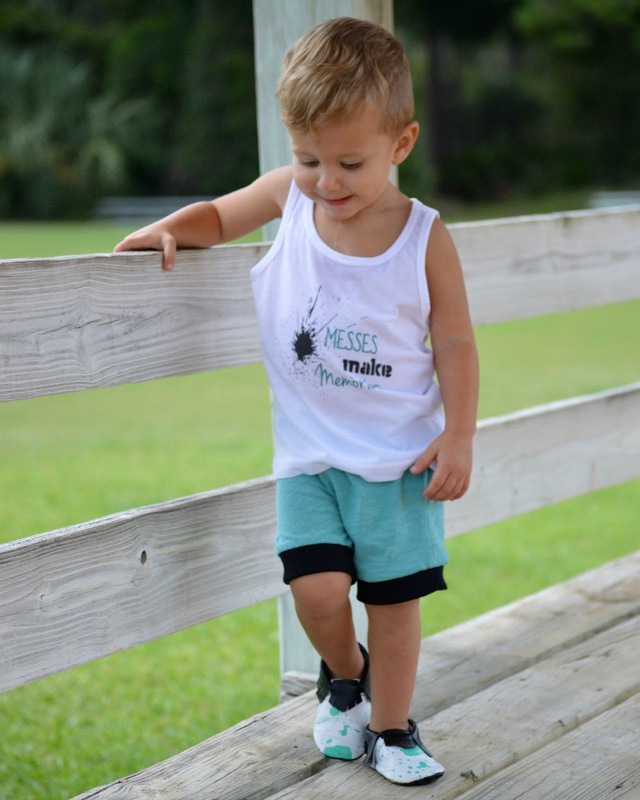 Every set includes one Messes Make Memories tank top, and one pair of our exclusive Leather Splatter Moccasins! Learn Live Hope Apparel is the ONLY place you will be able to snag a pair of these exclusive Moccasins!!! How adorable would your little one be in this set?! The best part - we've priced the set to give you a savings of 15% off!!! Head over to Learn Live Hope Apparel to snag a set while you can - and be sure to check out all of Angela's adorable designs! !